Dwarka Expressway is an upcoming project of road transport & highways department which is connecting the Dwarka City with NH 8. It is inviting the Indian and the foreign investors to invest without any doubt. Here are some reasons why Dwarka Expressway has emerged as one of the fascinating destinations for a startup business. Staying away from a soft market is not a wise decision in the current decade. Rapidly growing infrastructure across the expressway is the first thing you should know about, before choosing it as your startup destination. Along with the Central Government, Haryana government is also keen in infrastructural project establishment in the nearby location of this expressway. 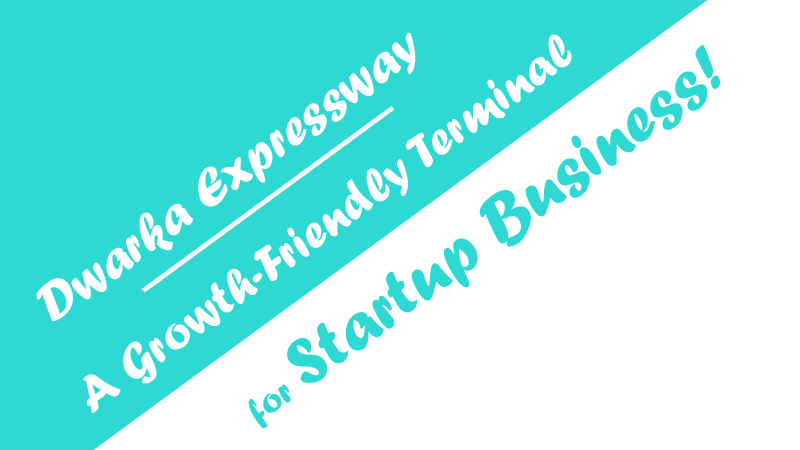 Hopefully, the expressway itself will deliver a huge market to your business, whether it is a health-tech, edu-tech, e-commerce, manufacturing, or consumer service business. Easy availability of business capital in inviting the budding entrepreneurs to establish their business ventures across this expressway. Many NBFCs (located in Delhi, Gurgaon, and Noida) are providing SME and MSME loans to the aspirants. Most of the companies are offering low-interest business loans and they are following the online process in delivering the capitals. If you contact with Cash Suvidha, you even can avail a loan up to one crore within fifteen days’ time period. It is also committed to making corrections in the submitted proposals. Interestingly, the FinTech Company, which is located in New Delhi, has elected an advisory team for making effective additions and subtractions in the submitted proposals. It also inspires the women entrepreneurs to come forward and establish a startup across this expressway. Hence, it provides women entrepreneurship loans at best-in-the-market interest rates. 150-meter wide road is projected to build in this expressway which will give high-speed transportation facility to the entrepreneurs. It is good to drive and connected to the national highway. The same expressway will give you easy connectivity with several other expressways in the years to come. In the case of a manufacturing startup, your business will get a widespread market in the near future. The development of real estate sector is a visible reason for you. Many government and non-government townships have been established across the sides of Dwarka Expressway. Many more projects are going on. Most of the townships are offering affordable housing plans that are blessed with shopping malls, health clubs, parking facilities, and other amenities. As you know, this expressway is connected with Delhi and Gurgaon. It opens marketing and advertisement opportunity for you if you are planning to set up your business project here. The flawless connectivity will also help you in getting the raw materials at your budget friendly prices. In addition to these two cities, the concerned destination is also connected to many other business destinations of North India. It will be a great opportunity for you if you establish your startup company across the Dwarka Expressway – it is inviting you with a wide range of prospects.